The Federal Court of Justice in Karlsruhe in Germany ruled the mother of a 15-year-old who was hit by a train in Berlin in 2012 could have access to her daughter’s Facebook account, which Facebook had locked for privacy reasons. 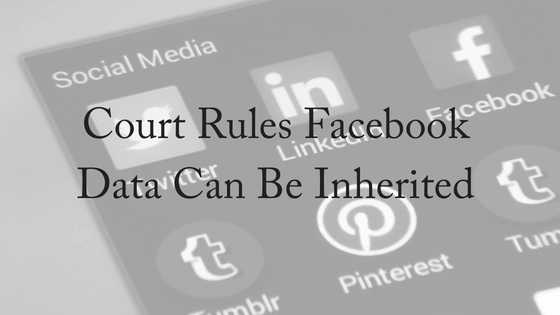 This means that broadly speaking, your Facebook data can be inherited by your loved ones. The parents in the case wanted to know if their daughter, who was killed by a train, had contemplated suicide, but the ruling in their favor has broader ramifications. The court has suggested that private digital communications can be inherited in the same way that physical diaries and letters already are. If the ruling holds and becomes part of the European Union’s aggressive stance on social media, which has recently resulted in billions being spent by business to fall in line with the General Data Protection Regulation, it could quickly come to represent a new standard and make deleting one’s history part of the digital hospice experience. It should serve as a healthy reminder that online behavior is real behavior in every key sense. Clearly, the assumption of privacy in my digital communication is no longer a given — or, better put, won’t always be a given. How Will Your Social Media Be Inherited? What happens to social media accounts after a user’s death is still very much a grey area, with access to the teenager’s Facebook account already having been previously granted by one court before being denied by another. Last year, the BBC reported a first court in Berlin had rule in favour of the family, saying a social media account can be inherited just as letters are. The parents sought access to her chat messages and posts in order to find out whether she had been bullied. But an appeals court ruled in favour of Facebook, saying that a contract existed between the girl and social media company and it ended after she died. Facebook argued that opening the account would compromise the privacy of the teenager’s contacts. Facebook had turned the girl’s profile into a so-called “memorial page”, where access to the user data is not possible although the content still exists on Facebook servers. 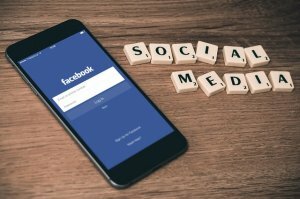 Most people don’t just have a Facebook page, but many other online accounts including emails, photos, music, documents, and bank accounts. Does the executor of your will know how to access this information? There are a few ways in which to handle your Facebook page after you pass. One of which is to have it memorialized, which either you or anyone else can request. When an account is memorialized, only confirmed friends can see the timeline or locate it in the search bar. The timeline will no longer appear in the suggestions section of the home page, and only friends and family can leave posts on the profile in remembrance. In order to protect the privacy of the deceased, Facebook does not share the login information for the account with anyone. Once an account has been memorialized, it is completely secured and cannot be accessed or altered by anyone. The request can be filled out and then Facebook handles the memorializing, notifying the requestor via email once it is complete. The “legacy contact” policy was established after families of the deceased had told Facebook they wanted to download and preserve the user’s photos and also post funeral announcements or other news. “By talking to people who have experienced loss, we realized there is more we can do to support those who are grieving and those who want a say in what happens to their account after death,” Facebook said in a statement. Google announced a similar policy to “plan your digital afterlife” in 2013 to allow you to select “trusted contacts” to receive data from accounts such as Gmail or Google+. How will your social media accounts be inherited? It can often be overlooked, but has become an increasingly important part of our lives. For experienced estate planning advice, contact us today. We offer a FREE, 10-minute phone consultation.